Construction has commenced on Sub-Project 4 at the Cau River, Cho Moi District, Bac Kan with a launching ceremony attended by CPMU, DARD, PPMU Bac Kan, Thanh Mai CPC, Cung Kieu Construction Company and ICEM. 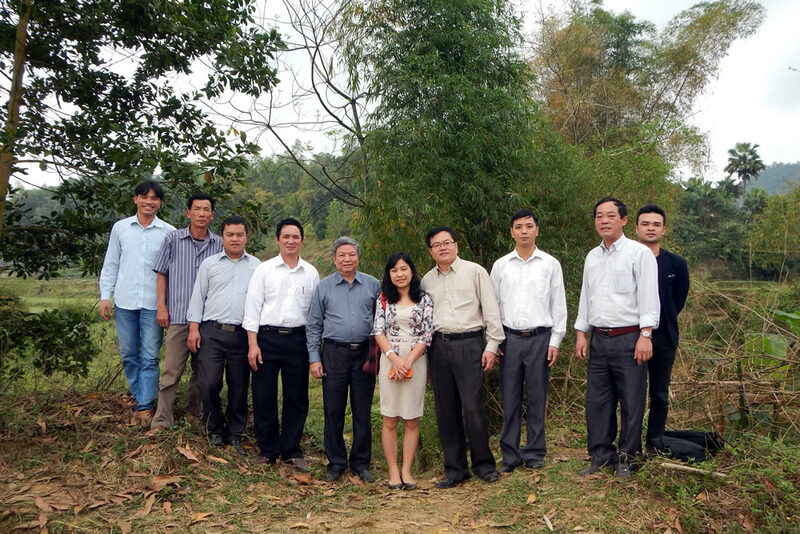 The project is part of the ICEM-implemented TA 8102-VIE: Promoting climate resilient rural infrastructure in Northern Vietnam. The TA demonstrates bioengineering measures for riverbank and road protection as a climate change adaptation measure. Together with training and capacity building, this will promote bioengineering as an alternative, low cost approach to increasing the resilience of rural infrastructure to extreme weather events, particularly rain and floods. Sub-Project 4 consists of two riverbank sites and two road embankments and is the first of four demonstrations to be constructed within Bac Kan, Son La and Thai Nguyen provinces. The TA is linked to the ADB-funded Sustainable Rural Infrastructure Development Project (SRIDP), which is rehabilitating and upgrading rural infrastructure for 15 provinces in northern Vietnam. Construction of Sub-Project 4 is expected to be complete by 20th April 2015, and will be followed with a 3-day workshop on Bioengineering: Design and Construction to be held in Bac Kan. Led by ICEM technical specialists, the workshop will host government representatives from Hanoi, Bac Kan, Son La and Thai Nguyen, as well as members of a Technical Core Group of experts established as the focus for the TA’s capacity building efforts. The second riverbank demonstration, Sub-Project 32, is expected to begin construction at the beginning of April 2015. Visit this link for more information on the Bioengineering Project.